Recently the Intrepid Junior Blogger indicated an interest in walking the family dog. Now, I am quite open to this idea, as the IJB is thirteen, and the dog is, quite frankly, bored with me. 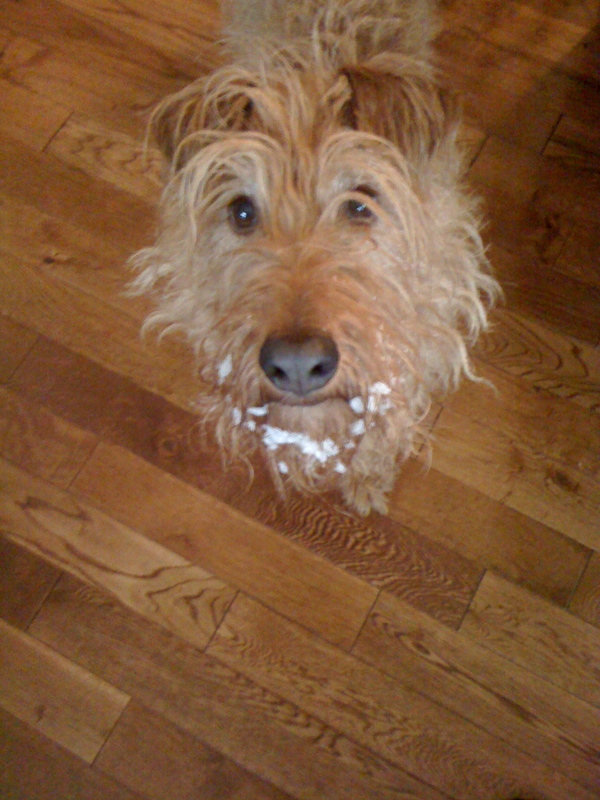 She’s a lovely dog, a very pretty example of the Irish Terrier breed, but also dumb as a post – or, as we politely say, not the brightest bulb on the tree. Now, our dog is actually fairly easy to walk. She weighs just over thirty pounds, so she is not large. And thanks to some personal dog training lessons (which really trained me more than the dog, but I like to pretend it is the dog that changed behaviour) she is fairly easy to walk. The IJB would like to eventually be able to walk her on her own, but initially I wanted to accompany them to make sure both dog and child understood the ground rules (eg, no off leash action and scrupulous adherence to the pooper-scooper bylaws). And so we headed out the front door, dog dancing and tail wagging with the IJB on the other end of the leash. We headed towards the Birchwood Trails, and the IJB and dog (and I) were having a blast. That is until we encountered one of my pet peeves, and a situation that I find far too often here. We had barely stepped paw onto the trail when I saw a dog. It was just around the bend, and while I could see the dog I could not yet see the owner, which meant the dog was not leashed. The dog, likely a friendly sort, came bounding over – and I immediately took the leash from the IJB and tightened my grip. 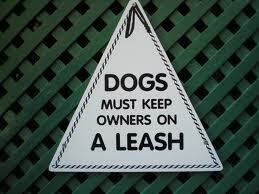 You see the family dog is not keen on other dogs and certainly not on loose dogs when she is on a leash. I could see the owner now, who was calling her dog. The dog, though, was not responding, and dancing around us instead as my dog began to bark and growl and struggle. I could feel my anxiety and my anger rising, and when the owner of the loose dog finally reached us and got her dog’s attention I hissed two words at her: “Leash laws”. People, leash laws exist for a reason. They are not in place to inconvenience or to anger. They are not meant to diminish the experience of walking a dog. They are meant to protect everyone, including the dogs. When I was working in veterinary clinics one of the vets I worked for told me a story from his days in practice. He had a client with a large dog, a dog not known for aggression. The dog was friendly in disposition, and not one of those avoided by vet clinic staff for bad behaviour (just a word here – if you enter a vet clinic and all the staff members suddenly disappear they are probably having a meeting in the back where they are tossing a coin to see which of them gets the pleasure of dealing with your dog, because at some point your dog has very likely taken a snap at one of them and your dog has been flagged). On one beautiful summer day the client had taken his dog to a large park (one with signs clearly saying dogs must be on a leash) in the city where he resided, and he decided to let the dog off the leash for a bit. The dog was delighted, and bound about happily while a family entered the park, a mom and dad and little girl and a slightly smaller, leashed dog. The client’s dog immediately went to greet the other dog, but the other dog, while also not known for aggression, was not friendly with other dogs. It began to growl and snapped at the loose dog – and the loose dog, not known for aggression but also simply being a dog – snapped back. Very quickly it escalated into a dog fight with flashing teeth and growling, the owners trying to pull the dogs apart and screaming. And in the middle of this, in a sudden flash, the little girl somehow ended up between the fighting dogs. The loose dog likely didn’t even know his teeth were on the little girl and not on the leashed dog. And almost certainly he did not intend to bite the girl’s neck, puncturing her jugular vein. But in a horrific twist of events he did, and suddenly a beautiful summer day in the park became a fight to save the life of a seven year old child. Passersby helped to staunch the flow of blood, an ambulance was summoned, and the girl was rushed to the ER where she was, thankfully, saved. But the repercussions were profound. In the end the little girl was scarred, both physically and emotionally, and left terrified of dogs, including her own. The parents, outraged as only parents protecting a child can be, went after the client through every possible avenue. They pushed for criminal charges for failure to control his dog. They went after him in civil court, suing him for pain and suffering and vet bills for their leashed dog. They went to the media with their story so other families would not share their fate. And in the end the client, who realized his non-aggressive dog would forever be seen as the dog that had tried to kill a little girl, euthanized the dog when things in his peaceful little neighbourhood became impossible to bear – the looks, the whispers, and the outright condemnation. He suffered in every way, financially and emotionally. And most tragically he was left without his beloved best friend and companion. People, dogs are animals. While we like to think we can control them and predict their behaviour we can on occasion get it wrong. And when we do get it wrong we are 100% responsible, morally and legally, for the things our dogs do. When we contravene a leash law and allow our dog to run free we are taking a significant risk, whether we acknowledge it or not. And frankly we are not doing ourselves or our dogs any favours by doing so. In this community there is an off-leash park, which is away from small children and pedestrians and joggers and those who might be afraid of dogs. I don’t take my dog there, because she does not like other dogs. In my view it is thus unfair that when I walk on public trails where dogs are required to be leashed I encounter unleashed dogs that friendly as they may be could also create a huge problem. And I can absolutely guarantee that if my child were to be injured by a loose dog I would indeed be one of those parents who would make the dog owner pay in every conceivable way, because if there is one thing I am ferocious about it is my child. Leash laws exist for a reason. They are designed to protect everyone, including dog owners. They are there because we need to take responsibility for our pets at all times. And they are there to protect our dogs, because in the end they bear the brunt of our decisions. Our decision to allow them to roam off leash impacts them the most. The IJB and I continue to walk the family dog together. The dog remains on her leash, and under our control. And I will likely continue to hiss at owners who allow their dogs to roam unleashed, because not only is it illegal and unwise it is, in the end, unfair to their dogs. I think back to the story the veterinarian told me, and I recall the look in his eyes as he told it. He was thinking about his client, and about the day he euthanized a dog that was not aggressive and had never intended to harm anyone. He was thinking about a beautiful sunny day in a public park and about how the smallest of things, like deciding to remove a leash, can change lives. And that is why today I share the story with all of you, because a small decision can alter the future, even something as simple as deciding to let your dog wander off leash on the trails on a beautiful sunny day. I completely agree with your view on this. Our dog is a rescue from the FMSPCA, and though she is incredibly sweet, she has some severe dog aggression / anxiety issues. I've given up walking her on the Birchwood Trails because SO many people feel the need to let their dogs loose and I'm just too afraid that something terrible may happen if another dog runs up to us. This issue just makes my blood boil! What are they thinking?! This is definitely one of my pet peeves. When I was living in Nunavut I saw first hand what an off-leash dog can do. Fortunately in my case I had enough clothing on to prevent a bite though I know of many others who were not as fortunate. I would live in a shack in the woods with my dog before I would put him down unfortunate accident or otherwise. That a seven year old would be allowed anywhere near two obviously fighting dogs is simply negligent especially when there were three competent adults one for each immature creature present. 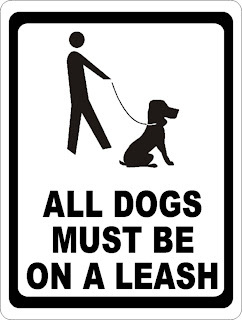 I agree with leash laws and that they do serve a purpose what I am sick and tired of is people's inability to deal with any sort of situation out of their norm. Adults have become oversized children unable to react to any situation. I am sick and tired of dogs being killed because people are too stupid to take care of them. Roddy, as someone who worked with animals in a professional capacity for over a decade I can personally attest to how quickly a situation like this can escalate. While we like to think we would respond appropriately on occasion people freeze and/or panic, and thus I cannot judge them on their reactions (or lack thereof) as I was not there to witness them. I do reject any notion that the parents were in any way at fault in this incident and do not believe they displayed negligence, legal or moral, in their conduct. I also do not judge the owner of the loose dog who decided to euthanize it as I believe he only did so after enduring significant stress. I can only imagine it was a very difficult and painful decision and I am in no position to judge it. Yes leash laws exist for a reason and should be followed on those trails but please don't suggest our local dog parks. They are not fit to be used as they are. We as dog owners should be expecting more than a massively overcrowded thunderdome of feces that has holes in the fence and is known to cause multiple dog emergency visits a week. There were plans for more dog parks in years past and even off leash trails, but they were quickly scrapped as soon as people started to relax and not push for better than we currently have. For those who want to go off leash, aim for the middle of the woods, yeah it's quite a bit of a drive away but they are currently the only safe place.